Gulf Air, the national carrier of the Kingdom of Bahrain, has signed a contract with Etihad Aviation Training (EAT) to offer full flight simulator training to Gulf Air’s Boeing 787 Dreamliner pilots. 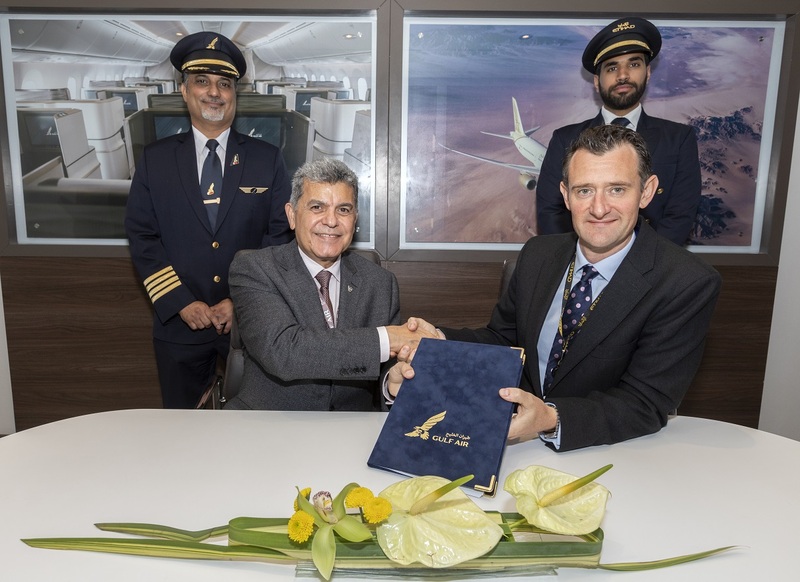 The contract strengthens the ties between Gulf Air and Etihad Aviation Group following the Memorandum of Understanding (MoU) signed between the two companies at the Bahrain International Airshow in November. EAT currently boasts 11 Full Flight Simulators (FFS) including three Airbus A320 FFS devices and two Boeing 787 devices. The facility is expanding and will soon open a third B787 FFS device which will be available in Abu Dhabi to third-party customers. In addition to the Abu Dhabi facility, EAT operates a flight training college located in Al Ain offering an extensive cadet pilot training programme. Gulf Air has also recently deferred the start of some services that had been planned to begin going to Saudi Arabia this winter.